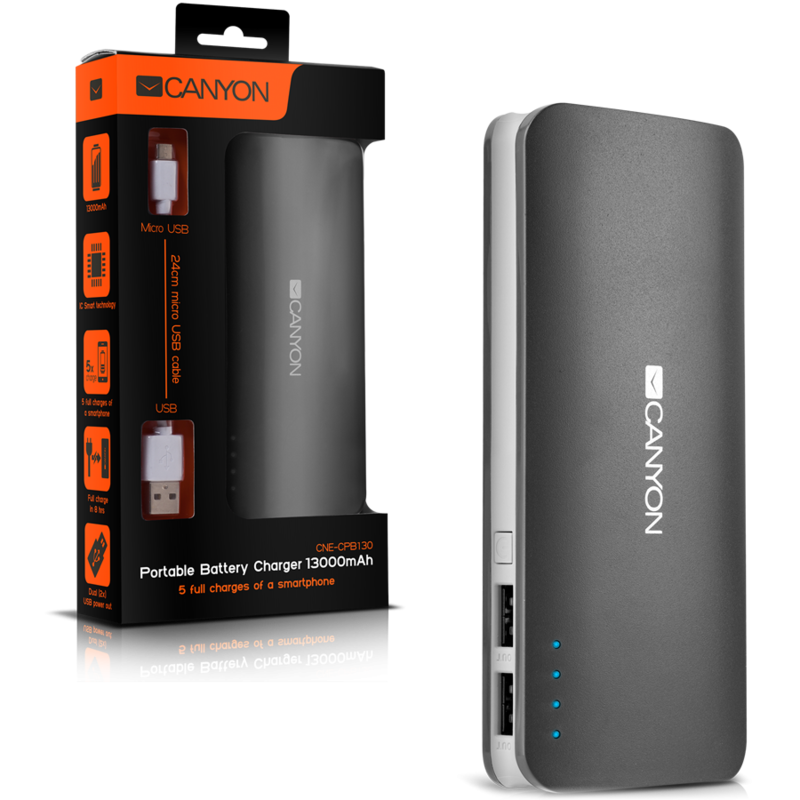 This Canyon power bank means you'll never worry about the battery of your smartphone or tablet again. Low battery power is not a problem anymore you can charge two devices at the same time via two USB-ports of the Ultra Capacious Power Bank. Battery capacity should be sufficient for charging your smartphone for 5 times. The level of charge is tracked by the LED indicators located on the front panel of the device.